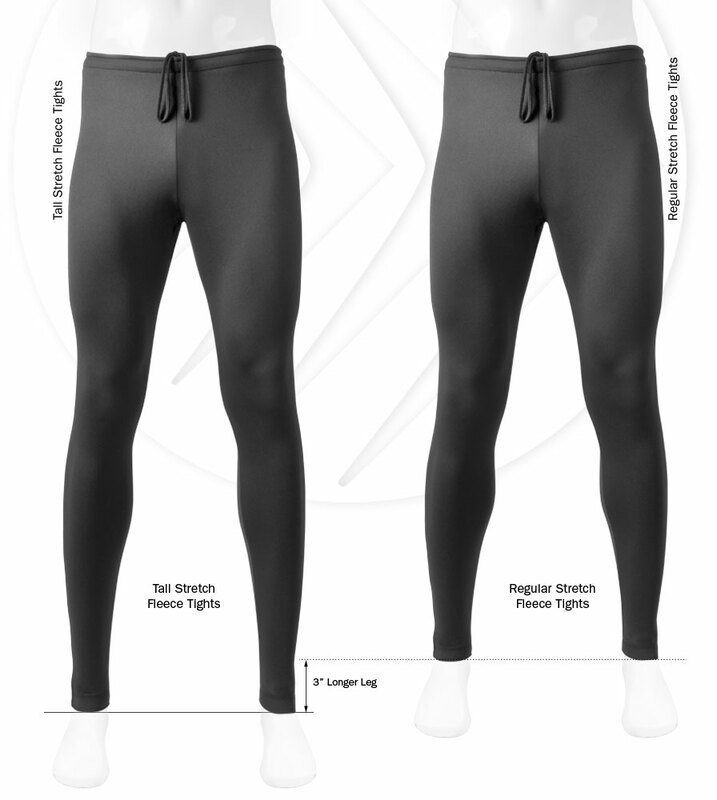 Aero Tech Designs - TALL Man's Stretch Fleece Cycling Tights - Padded for Cycling Comfort! 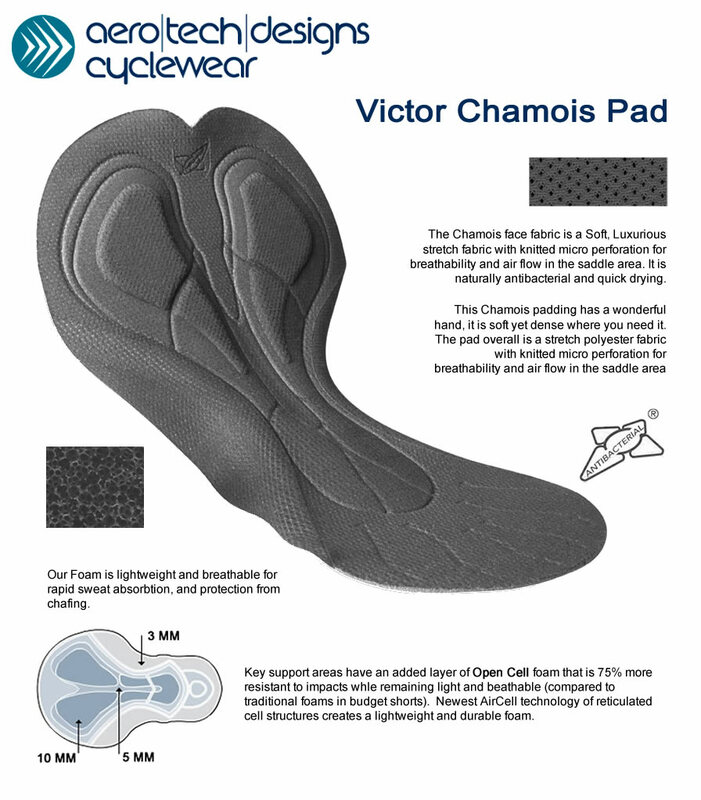 Exceptional in Fit and Function for Tall Cyclists! 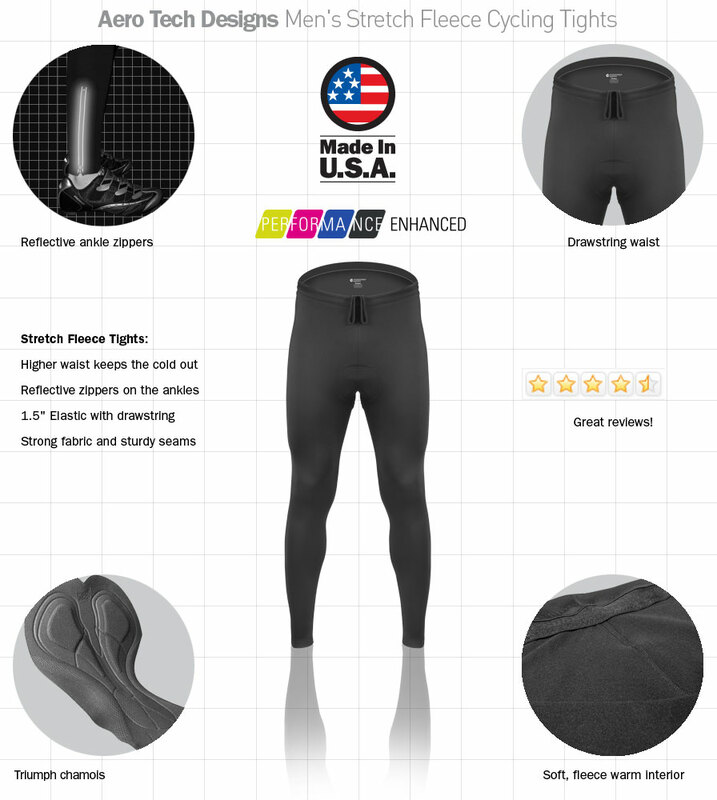 The Aero Tech Designs Tall Men's Fleece Cycling Tights have a fit that looks amazing and a fantastic feel when they are wrapping your muscles. These tights will be you favorite pants in cool weather, you will find yourself living in them! With smart design features like a long ankle zipper for easy on off and reflective trim that BRIGHTLY MAKES YOU VISIBLE in low light conditions. A drawstring waist holds the Fleece Exercise Tights secure. These cycling tights are a perfect fit. I am 6ft 5in with a 36 in inseam and I have plenty of length with the Aero Techs. I highly recommend this product if you are looking for a tall pair of cycling tights. I am happy with the riding tights. They are somewhat generous in the sizing. I will probably choose one size smaller next time. But as a tall man (195 cm), it is such a pleasure to be able to buy tights that reach my ankles. These will probably be warm down to freezing temperature, at least. I've already been riding at 5 degrees C ( around 40 degrees F) and was very comfortable. Great product. I'm 6'9" and it's hard to find anything long enough that fits. I look forward to purchasing more products from you in the future. I'm 6'8" weighing 280 lbs. with a 46 inch waist and purchased the 3XL tights. I enjoyed the padded seat on the 18 mile ride, which lasted 1 hour 33 minutes. The pants were insulated and the length long enough with a zipper that covered to the ankle with a bit extra. During the ride the bottom of the pants didn't ride up and the length in the pant from waist to the ankle was stretchy and comfortable. The tights at no time bunched up but remained pliable. There was plenty of draw string in the waist as I like to cinch up the waist for a snug fit. Very easy to maneuver in while riding either in the seated or standing positions. As advertised, I didn't feel any muscle fatigue and believe the tights kept the muscle warm. I wore the tights with the Aero Designs TALL Men's Thermal softshell jacket and I was warm from neck to ankle. Well worth the money and glad to find a company that caters to the TALL man. No longer have to buy from bicycle shops that fit the short person,and on rare occasion may have something that will closely fit the TALL man. Surprisingly comfortable for at least 2 hour rides. Thin pad, but it works. Warm enough to about 30Â°F for me as long as I was pushing at least 6/10. The tights themselves are fabulous; I'm excited to get my replacement pair without the crotch pad. The pad "swims" around too much when I move and is anything but a snug fit. I'll be much better served by wearing my well fitting padded shorts underneath these tights when I ride. Nicer than expected and well made. Finally,a tight with long enough inseam. Nice pad.The waste could be higher in the back but not a deal breaker. When the temp drops below 50F, I would stop bicycling: I only had bike shorts. These are great and they are long. I'm 6'6" with long legs - I will order more.